Call (586) 945-3659Serving Southeast Michigan since 2002. Licensed & Insured. "I would like to express my appreciation for the fine job you did in building the pool deck for my family. The project was of very high quality, on time and within the estimate you provided. The site was left very clean and all waste materials removed. I would have no hesitation in recommending you for other work." - D.M., Clinton Township, MI. 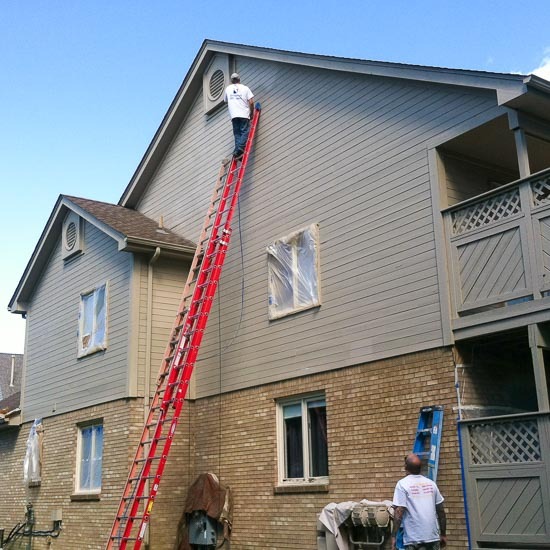 "I am writing this letter to express my appreciation for the work you and your company did to refinish the decks of our home... your people did an excellent job diagnosing the problems, stripping the old paint, replacing as needed the rotted boards, sanding the deck floors and finally recoating with the proper coating. The decks now look great. We were very pleased..." - R.D. -Bloomfield Hills, MI. 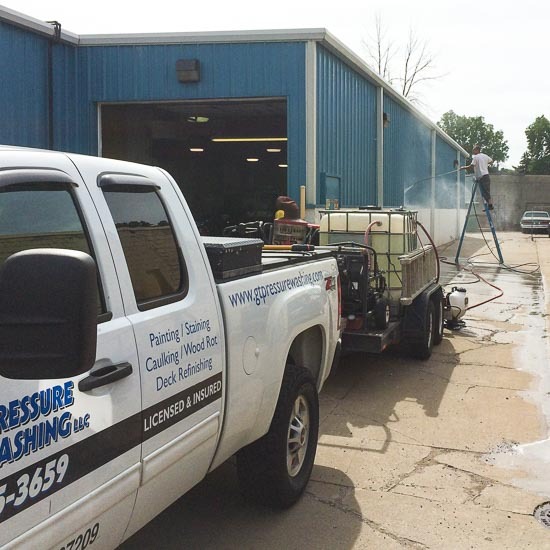 G&T Pressure Washing is the complete source for professional cleaning, stripping, and refinishing services for a wide variety of applications. Expert pressure washing requires a thorough understanding of the materials to be cleaned and the correct additives and application techniques. G&T's experience in construction, painting, and refinishing makes our pressure washing services the best in the business. G&T Pressure Washing was established in the summer of 2002 by a man with a vision and passion. Goldie started out as a carpenter and mechanic working for construction companies but always knew he wanted to someday own his own business. Instead of just dreaming he made it happen, and found that this is what he was called to do. This is not a job to him but a passion, therefore the quality of work is very thorough and thus his slogan was born, "We refuse to be average!" 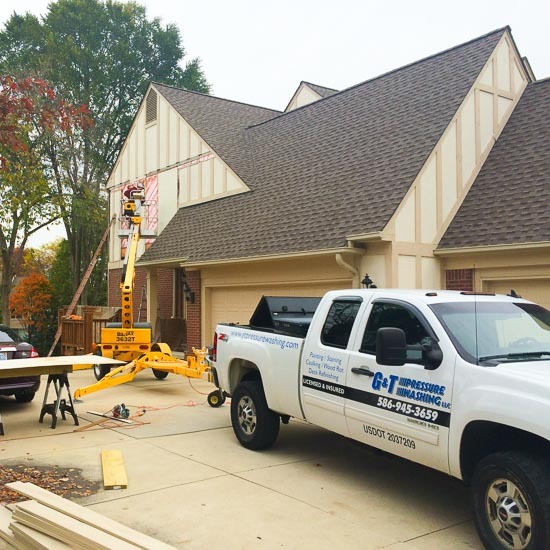 While decks are required to meet certain code standards and load capacities, it's estimated that only half of the 40 million existing decks are code compliant— leaving 20 million decks that need to be rebuilt or retrofitted. 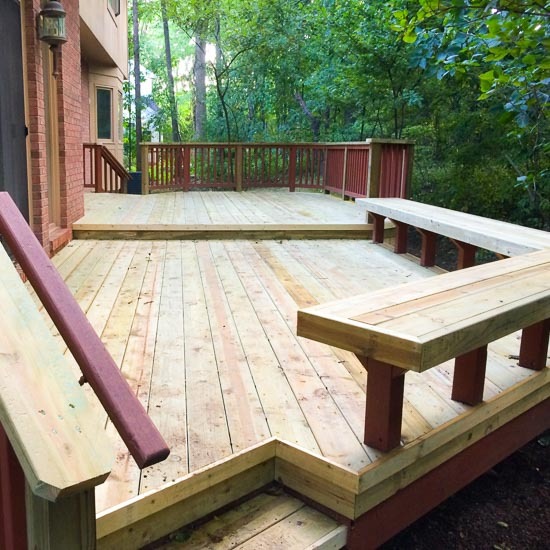 G&T's deck experts will inspect your deck's construction, connections, fastener corrosion, and materials for rot and cracks that may compromise your safety. We'll also give you an estimate for any work needed to make it code-compliant. Any connections that do not meet the requirements discussed in this guide can compromise the safety of the deck. In many cases toenailing (i.e. joining two wood members with angled nailing) does not constitute a proper connection. Connectors must be installed with the correct fastener. Vital connections may have degraded over time. Wobbly railings, loose stairs and ledgers that appear to be pulling away from the adjacent structure are all causes for concern. Metal connectors and fasteners can corrode over time, especially if a product with insufficient corrosion resistance was originally installed. Wood can rot and degrade over time with exposure to the elements. Members within the deck frame that have rotted may no longer be able to perform the function for which they were installed. As wood ages it is common for cracks to develop. Large cracks or excessive cracking overall can weaken deck framing members. 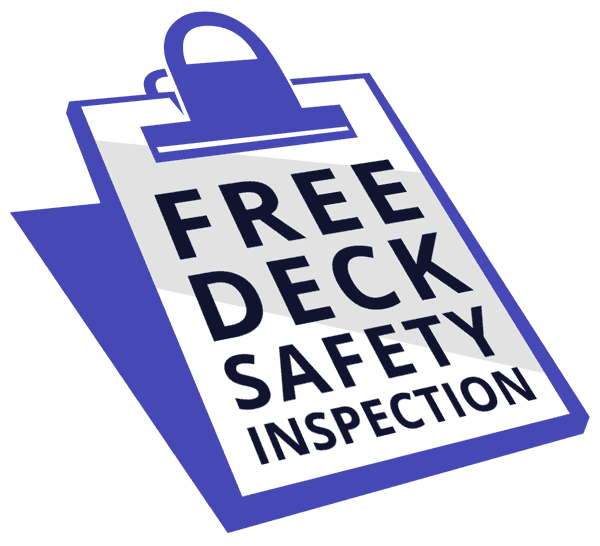 Call (586) 945-3659 now to request your free G&T Deck Safety Inspection.